To many, buying property in Charlottenburg is an appealing proposition. Whether its families, singles, students or working professionals: everyone enjoys living in the bourgeois district of Charlottenburg. It stands to reason that Charlottenburg is one of Berlin´s most popular districts. Here you will find a combination of the Berlin scene and burgeois living, creating a unique atmosphere around your property. 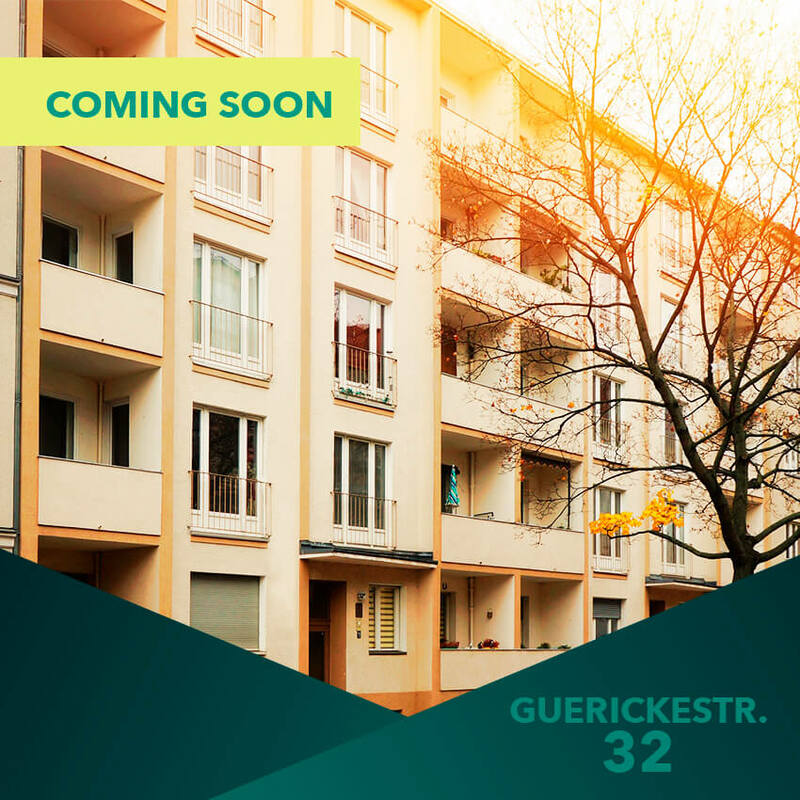 Anyone with an eye on an apartment in Charlottenburg will enjoy an excellent infrastructure. From schools, to doctors and perfect connectivity to public transport, it is all there in Berlin Charlottenburg. Countless shops, cafes and first-class restaurants all add to the feelgood atmosphere. Excellent schools with outstanding ratings, such as the Berlin British School or the Nelson-Mandela School are located in Charlottenburg. As the name suggests, the Berlin British School offers a first class education in English. The school´s curriculum starts with “early years” and covers “primary” as well as “secondary school” finishing with the internationally recognized international baccalaureat (IB) diploma. This program facilitates pupils´ entry to the international labour market, is a perfect way to prepare for working independently, and affords pupils better orientation at universities. As Berlin´s second international school, the Nelson-Mandela-School also offers the IB program. In addition the school offers the general matriculation standard with specific promotion of English language skills from year one. The Nelson-Mandela-School is also appealing because it attracts pupils and teachers from a multitude of countries and is, for that reason alone, very popular with diplomats as an ideal school career for their children. Close to Schlosspark you will find first-class clinics and a hospital. The private Schlosspark-Klinik, for instance, has a reputation for being patient-orientated with a personal touch. 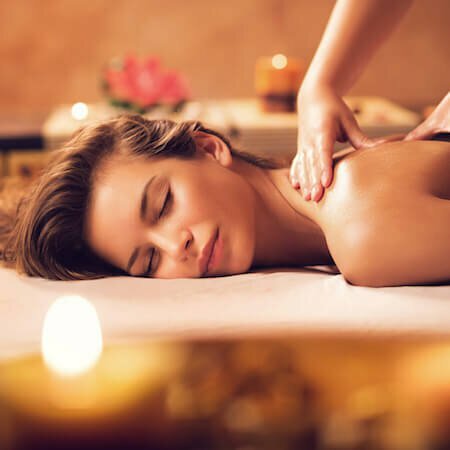 Due to its location right on Schlosspark you have unlimited recovery time in green surroundings. The fresh and leisurely walks throug the enchanting Schlosspark will allow all of your senses to recover. In the DDR Kliniken in Charlottenburg with its 3.400 members of staff and 24-hour emergency service you will receive the best possible medical care. This general hospital has a broad spectrum of specialist skills and departments. Charlottenburg is a shopping paradise. 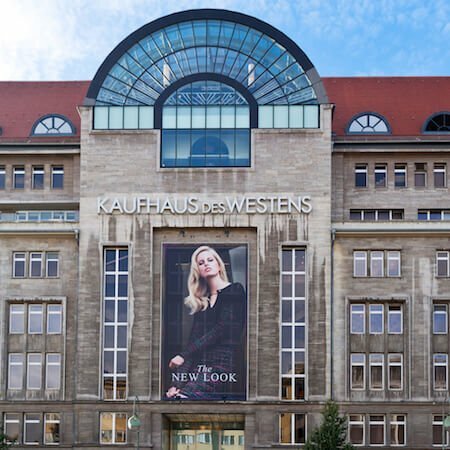 The luxury department store KaDeWe and the famous Kurfürstendamm with elegant flagship stores and numerous luxury brands are well known beyond Berlin´s city limits. Added to which you have brands such as Prada, Gucci or the Apple Store, to name but a few. Equally as impressive is the design shopping mall Bikini Berlin, which is located immediately adjacent to the Gedächtniskirche. One of the highlights for many Bikini Berlin visitors is the view onto the monkey enclosure of the Zoological Garden Berlin. A very diversified and atypical shopping mall whose architecture and concept invites you to want to stay. In addition, there are select restaurants throughout the entire district. 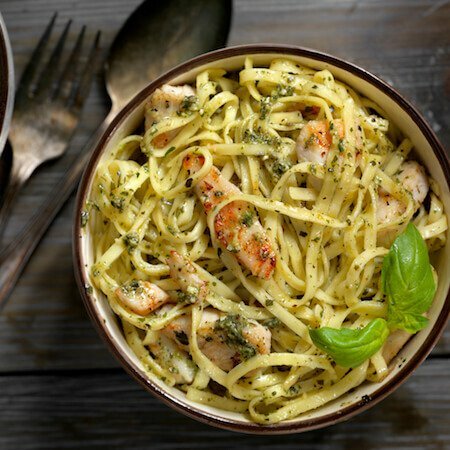 The variety of fine dining is unsurpassable: whether it is Asian, German or Spanish – all tastes are catered for. At the Kien-Du-Kiang-Thong you can experience a variety of freshly-made curries. Whether vegetarian, meat or fish, you´ll be served an excellent secret recipe curry. If you prefer a heftier cuisine, you should drop by the Schnitzelei in summer. The spacious outdoor area has a Biergarten flair, inviting you to stay a while and enjoy the sunshine. The chef´s repertoire includes traditional Wiener Schnitzel as well as the highly prized bacon-wrapped plums. 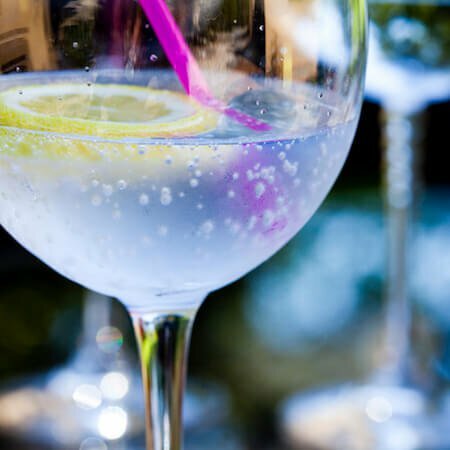 For Tapas fans looking for an entertaining evening over a good bottle of Spanish wine look no further than the Bodega & Tapas Bar La Plaza. At the La Plaza you can expect home-made Spanish Tapas and take a piece of Spanish levity back to your daily life. Supermarkets for your daily shop as well as a whole host of other shops are to be found along Kantstraße and the pedestrian zone of Wilmersdorfer Straße. Delis are equally well represented in Charlottenburg. If you’re ever looking for something special a visit to Frischeparadies is an absolute must. One of the things making this shop unique, apart from its selection of delicacies, is the regular events during which visitors stand to gain significant knowledge about individual products. 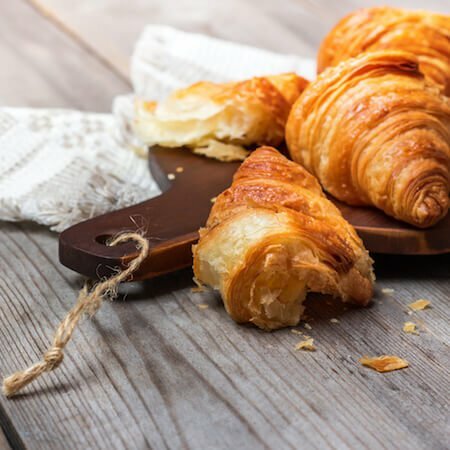 A culinary event that is frequently booked and attended by residents of Charlottenburg. If you like escaping from hectic city living, you´ll be in good hands in Charlottenburg. As early as the 20th Century, Charlottenburg was a popular destination for Berliners because of its proximity to nature. And still today the Lietzensee-Park and the Schlossgarten Charlottenburg promise peace and relaxation. Next to the centrally located Lietzensee you will find a series of monuments and sculptures on your stroll through the park. Amongst others, there is the war memorial dedicated to the Queen Elisabeth Guards Regiment No. 3 of Eugen Schmohl. In Lietzensee Park history and nature go hand in hand and turn your afternoon stroll into a cultural event. The same can be said for Schlosspark Charlottenburg, the grounds around the famous summer residence that are Germany´s first example of a baroque garden in the French style. The arrangements of formal baroque gardens amongst all of the pomp and circumstance invite you to daydream. Charlottenburg doesn´t just flatter with its green spaces. Slightly further to the southwest Charlottenburg and the adjoining Grunewald district border on the river Havel. The Havel separates the districts of Charlottenburg and Spandau and its good water quality makes it a popular day trip destination for swimming and other water sports activities, such as boat tours and water way exploration. And beyond the water sports activities, it is possible to observe animals in their natural habitat. The Havel is home to, amongst others, the European beaver, the sea eagle and the kingfisher. The Grunewald is inviting to those interested in long walks, horseback riding or bicycle tours. Therefore, and despite their city location, apartments in Charlottenburg are only a stones throw away from a green oasis/green haven. Regardless of where an apartment is located in Charlottenburg, the district offers fast transport links to other districts, such as Wilmersdorf. Aside from the Underground Lines U7, U2 and U9 Charlottenburg also boasts a tram line and regional train services to Potsdam and Schönefeld Airport. The underground facilities mean that you are perfectly connected with journeys involving a minimum of waiting time. Thanks to the S-Bahnhof in Charlottenburg your journeys further afield are also within easy reach. 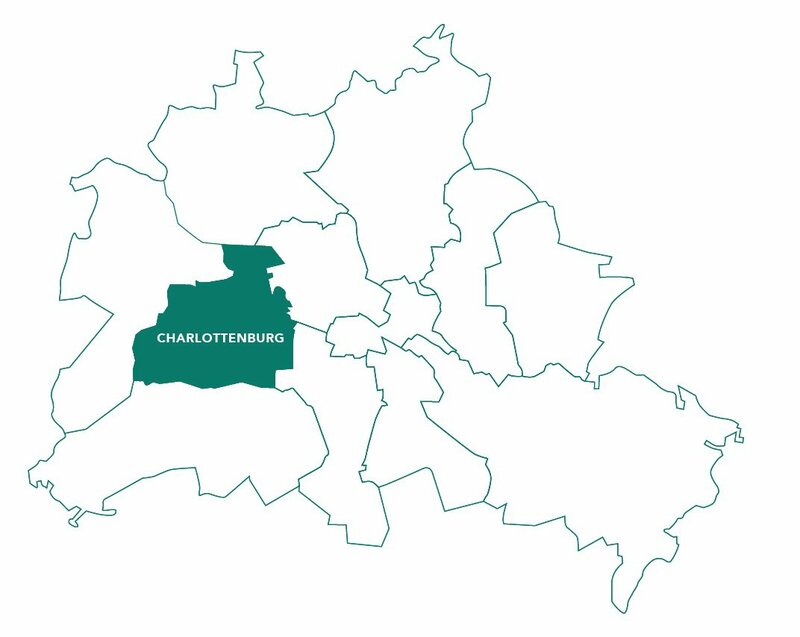 Charlottenburg therefore has an extremely advantageous transport network. Charlottenburg is a district full of event locations and sights. Here people meet up in convivial groups in order to enjoy the wide range of restaurants and shops or to explore the streets around the Ku´damm. This special blend makes Charlottenburg one oft he most diverse and popular districts in Berlin. The Kaiser-Wilhelm-Remembrance Church, the Kurfürstendamm, the Zoological Garden and the KaDeWe belong to some of the most popular tourist spots in Charlottenburg. The Palace Charlottenburg with its magnificent architecture and beautifully landscaped gardens is one of Charlottenburg’s highlights. In addition the Palace in the largest and most important Palace Complexes in Berlin, attracting hundreds of thousands of Berlin visitors to Charlottenburg. Right opposite the Palace is the Berggruen Museum, home to one of the world´s most significant collections of works of art by artists such as Pablo Picasso, Paul Klee and Alberto Giacometti. The C/O Berlin on Hardenbergstraße is one of the most famous exhibition centres for international photographers. Aside from the exhibitions visitors are offered talks with artists, lectures, guided tours and seminars, all of which are extremely popular with the public. Annie Leibovitz, Anton Corbijn and Karl Lagerfeld have all exhibited their photographs here. Charlottenburg promotes culture. Alongside a large selection of music cafes and jazz bars you will also find some of the biggest concert venues in Berlin: the Olympic Stadium and the Waldbühne frequently attract thousands to Charlottenburg with their traditional summer concerns. And the German Opera House on Bismarckstraße offers the highest standards in classical music and song. In close proximity to the Opera is the Schiller Theatre, famous for its first performances of pieces by Max Frisch and Günter Grass. And for modern musicals there is one of Berlin´s most famous theatres, the Theater des Westens. Here musicals by the International Stage Entertainment GmbH like „Dance of the Vampires“ or „Les Miserables“ are performed. If you prefer smaller concerts or theatre you will find a very good selection of theatres, music cafes and Jazz bars. One of the best Jazz venues is the famous Quasimodo, which regularly features international guest artists. And the Theater am Kurfürstendamm is equally well-known for its star-studded cast. Many actors from film and TV have graced thes stage here. Among them some of Berlin´s bedrock performers, such as Harald Juhnke, Inge Meysel or national stars such as Johannes Heesters or Jasmin Tabatabai. Charlottenburg is one of Berlin´s most diverse districts in Berlin. Looking to buy an apartment in Berlin is worthwhile from a number of perspectives. The quality of life in Berlin is special and cannot be replicated by other districts in Berlin. 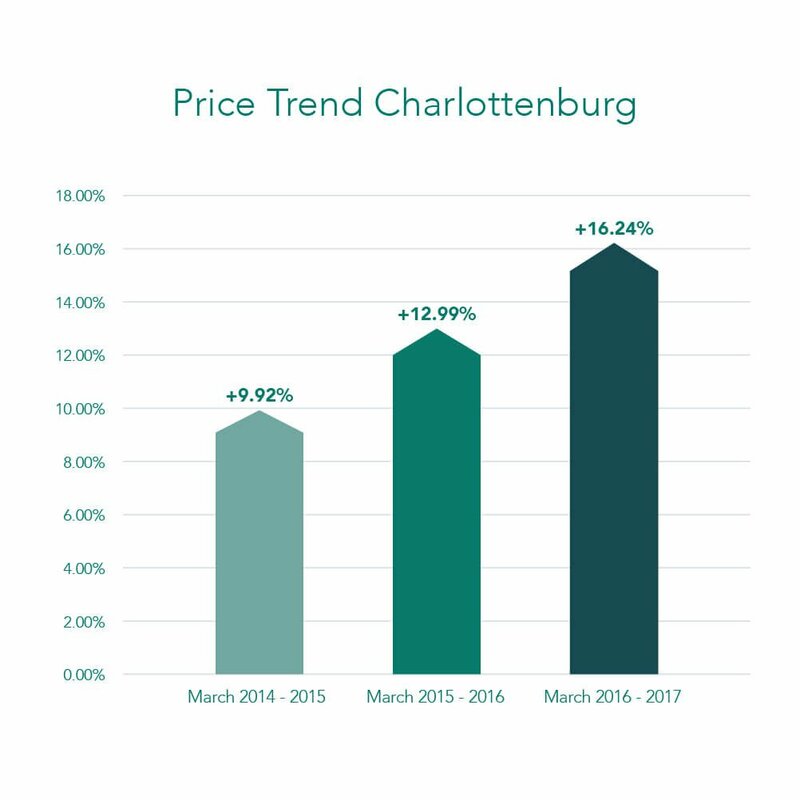 Prices for apartments in Charlottenburg rose significantly over the past few years and there is no end in sight. In particularly sought-after areas, such as close to Ku’damm and Savigny Platz prices can reach up to € 10,000 per sq.m. Even though apartments in Charlottenburg are not the most reasonable, they have still be overtaken by prices in districts such as Mitte, Prenzlauer Berg or Neukölln. Prices in these districts are significantly higher than those in Charlottenburg. Rental price trends have developed accordingly. 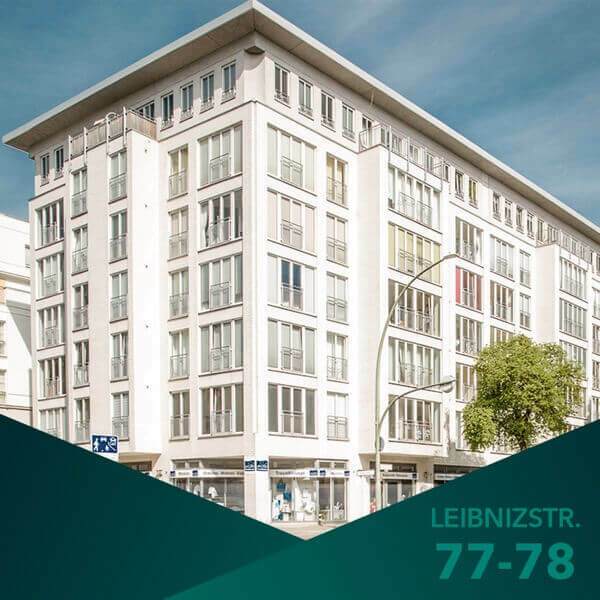 Nevertheless, rental prices are frequently more favourable when compared to other trend districts in Berlin, and thus offer more potential for growth/growth potential. On average square metre prices in Charlottenburg are at € 10,77, for new builds the price is at € 13,07.